This digital Study Kit provides online access for 90 days to the primary course materials for SOACP Module 1: Fundamental SOA, Services & Microservices, as well as additional electronic supplements and resources designed to support course completion and exam preparation via independent self-study. 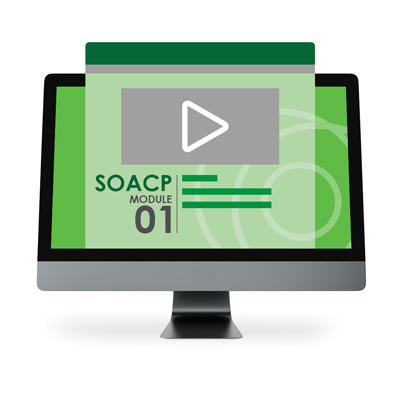 Online supplements include access to the SOACP Online Video Course for Module 1, Audio Tutor recordings, course booklets and posters. Upon purchasing this subscription you will be provided with immediate access to the online video course and access to the course materials within one business day. Also available are optional add-ons for the purchase the associated exam voucher and electronic text book (or eBook). The exam voucher add-on is for a pre-paid Pearson VUE voucher for Exam S90.01B, discounted from $150 to $100 USD. The eBook add-on is for the electronic version of the Service-Oriented Architecture: Analysis & Design for Services and Microservices text book published by Prentice Hall. This Prentice Hall eBook is a recommended supplement used to complete reading exercises in the course materials and to provide more detailed coverage of some course topics.